1. Willingness to gain expertise in the operation and treatment techniques of the unit. 2. A commitment to customer service and education. 3. 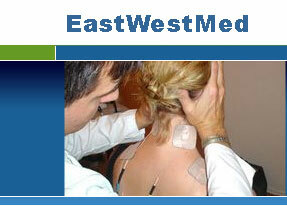 Previous experience in selling healing or pain management devices. 4. Purchase of one or more units for demonstration purposes. 5. Good sales and closing skills. 1. Local contact person - A doctor/therapist who uses the Acutron in his or her own practice, and is available to demonstrate the unit and do limited sales work. Referral or finders fees paid to contact persons. 2. Dealer - A rep or small company that directly sells the product in their city/area. Earns commissions per sale. 3. Distributor - A larger company that sells the Acutron throughout a large region or country, and orders a quantity of units per month. 1. 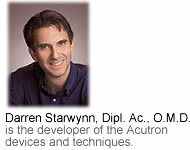 10 years history of Acutron product on the market, good name recognition. 2. Ability to teach excellent seminars in your region. 3. 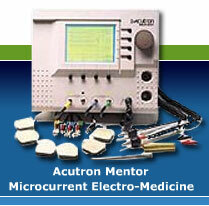 Good training and support materials for Acutron Mentor. 4. Top of the line, unique product with strong appeal to target customers. 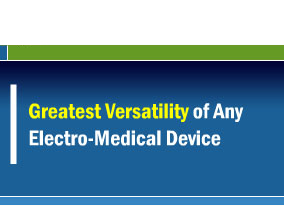 If you are interested in marketing the Acutron Mentor, please contact the Eastwestmed office at 602-992-2338 , and request a Distributor Application.